I went this morning in search of some caches. I decided to hit up the White Tanks and ended up doing some of the Mail Run series. I found ten geocaches and now I am so close to 1000 finds. Only 5 more to go. 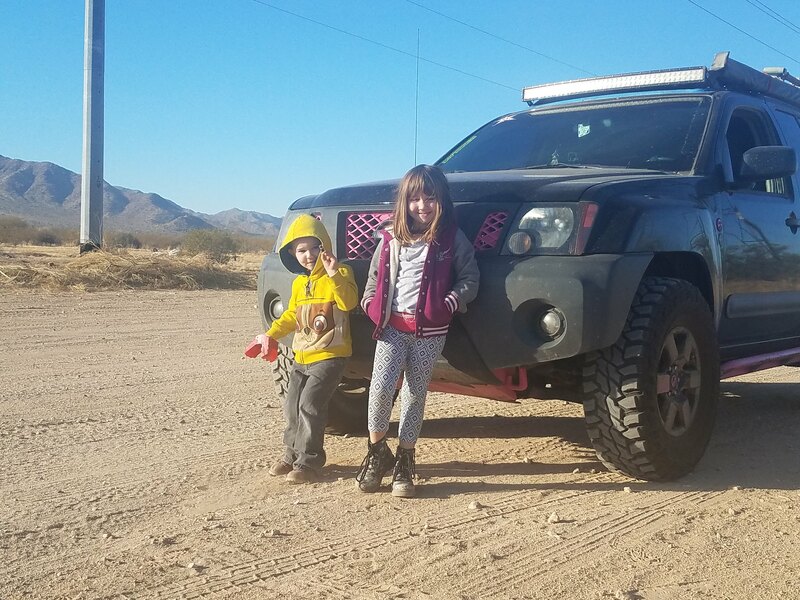 Found some cool caches by our house this past week, there are so many more but they require a little hiking, and the kids aren't into it right now. If anyone is interested let me know. I bit the bullet and upgraded to premium, didn't use it this past weekend. =( Only gonna do a month and see if it gets used. Two years ago I bought the year membership. I used it a lot. You'd be amazed how many premium caches they keep hidden. Anyway, as time went on I didn't play as much and decided to not renew. Its been over a year now and I really only play when I go out of town. I am currently ay 1060 finds and all of Surprise is cleared out. I go through spurts where ill find some them months will go by before I look again. Spent the morning geocaching with my son. We did a portion of the POP series north of the White Tanks. Ended up finding 13 of the 17 caches in that stretch (32 total in the series). This brings my total to 1073 found. Spent the morning geocaching with my son. We did a portion of the POP series north of the White Tanks. Ended up finding 13 of the 17 caches in that stretch. This brings my total to 1073 found. And it's like 100 degrees out... you crazy! I actually so most of my geocaching in the summer. Less people put in the desert and I have a/c and water so it's all good. Went back out today and found 16 of 20 caches that I had planned to grab. These caches were part of the SS and POP series north of the White Tanks. This brings my total to 1089 caches found. A few years ago I spent a lot of time in this area exploring. Second day in a row out geocaching the SS and POP series north of the White Tanks. I found 12 of the 15 that I searched for. Had to cut my morning short. I could have gone all day. Anyway, this brings my total to 1101 finds. I doubt I'll ever catch up. I always forget to check. So I have caught the geocaching bug again. Dec 30th I went out in search of a few geocaches. I took my kids with me as they call it "Treasure Hunting". Saturday we found eight treasures. Feeling pretty good we went home and I was happy. New Years Day afternoon I found myself bored and needing to get out. I went to an area that I spent some time in last year. The series is called Aiken To Be Found and it consists of 40 caches. Now, I had already found some of them but not sure just how many. After two hours I found 26 of them with only one left of the total 40. This last one was hard. After about 30 min I had to give up. I was pissed. I had found 39 of the 40 total. I guess Ill have to take a stab it another day. This brings my find total to 1136.